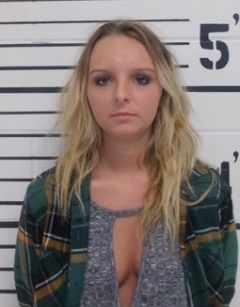 Jail personnel in Tahlequah, Oklahoma got an eyeful earlier this month when the 19-year-old was booked following her arrest for drunk driving. Rowan was collared late on a Monday evening by a Tahlequah Police Department officer. She is scheduled for a March 13 hearing on the misdemeanor charge. Rowan’s revealing top appears to be a favorite of hers. In a January 1 Instagram selfie (seen below), Rowan is pictured wearing the plunging garment. “2017 be ready,” the caption warns.